Mayan Riches Slot Game by IGT - Take a FREE Pokies Spin Right Here. The Mayan Riches online slot game is a simplistic, entertaining online pokies game by IGT that’s full of fun bonuses and easy to navigate game play. With a classic layout spiced up by colorful images and recognizable relics and backgrounds, players spin their way through a variety of interesting events. Players have the option of multiple paylines, customizable to their own desires. One can play with a payline of 1, 5, 10, 20, 30, or 40. 40 is recommended for what the game describes as maximum action, meaning the player has more opportunity for bonuses and payouts playing at the highest payline. Bets are similarly customizable depending on how deep your pockets are. Players can choose to bet 40, 80, 120, 200, 400, 800, or 1000 coins per spin. This increases as a players balance grow larger, with spins as big as 4000 coins being an option for players who like a high-stakes game. As all players begin with a balance of 1000 coins, the highest bets can be tempting and can provide the biggest payouts, but it is up to the player whether to bet safe or go big. The game also offers the option of Auto-Spin, meaning the computer plays for the player, offering smaller bets of 10-50 per spin for those who like a longer game. Payouts vary between relatively small amounts of coins such as 40, or, for luckier players, fairly substantial amounts of money, sometimes exceeding 1000 or even 2000 coins such as in the case of 5 of a kind. A payline of 40 is recommended for the player to have the best chance of payouts, and while a lot of the time each spin does not come with any bonus features or event, there are enough exciting line-ups to keep a player interested and, for the most part, with enough balance to continue playing. The pyramid symbol is of the highest value, with the opportunity of 1000 coins to be won should a lucky player land 5. Similarly impressive are the Man and Woman symbols, each valuing 400 coins at their highest. Numbers and Suits will score less for a player, though still providing payouts in excess of 100 coins should they feature five times in a spin. Wild Cards are an impressive and exciting feature of the Mayan Riches online game. These pyramid symbol cards offer maximum payouts, usually numbering in the thousands of coins. Though they are not easy to come by, a patient player should be able to see their fair share and reap the substantial rewards if they are lucky. Similarly desirable are the Bonus Symbols. These provide an array of exciting game play features. 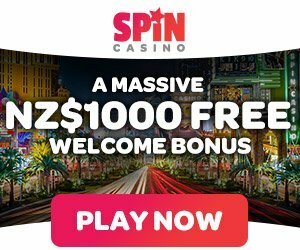 Often a lucky player has rewarded five free spins when these Bonuses come in to play, providing a welcome respite from what can be a quickly diminishing balance. Players can also be rewarded with double the total bet should they stumble across a bonus play, giving an extra boost of confidence and coins in the balance to keep game play enjoyable. The Mayan Riches free IGT pokies game is suited to the patient player looking for a long game. Though there are not an excess of fun graphics or mini-games, the play is still entertaining and provides just the right balance of patience and luck. New Zealand players highly recommend this game in our surveys done recently.